In-depth reviews of the best lightweight backpacking gear, and comprehensive guides to the world’s most amazing trail hiking destinations. Iceland’s Laugavegur Trail crosses a land where volcanoes and glaciers battle for dominance. It is surreal, astounding, and —quite frankly— unmissable. Iceland's Laugavegur Trail is likely to be one of the most surreal hiking experiences you'll ever encounter. The scenery here is otherworldly. Sometimes so much so that it is hard to imagine how it came to appear on earth. It is a geological feast, with the main ingredient in this recipe being the volcanic underbelly of this little island. At times, the hills appear to be liquid lava frozen in time (and that is because they are!). At other times, you'll cross plateaus of black volcanic ash that make you feel like you are taking a stroll on the moon. Walking down from the mountains on this hike can make you feel like a giant - with the valley carpet far below - and numerous perfectly shaped volcanoes popping up from the under the floor. The volcanic landscape of Iceland appears quite surreal the first time you encounter it. There is no other place on earth like Iceland, and the Laugavegur Trail gives you a 3-4 day hike that covers some of the most varied scenery in the country. Although the Laugaveugur Trail is popular, it is with good reason. 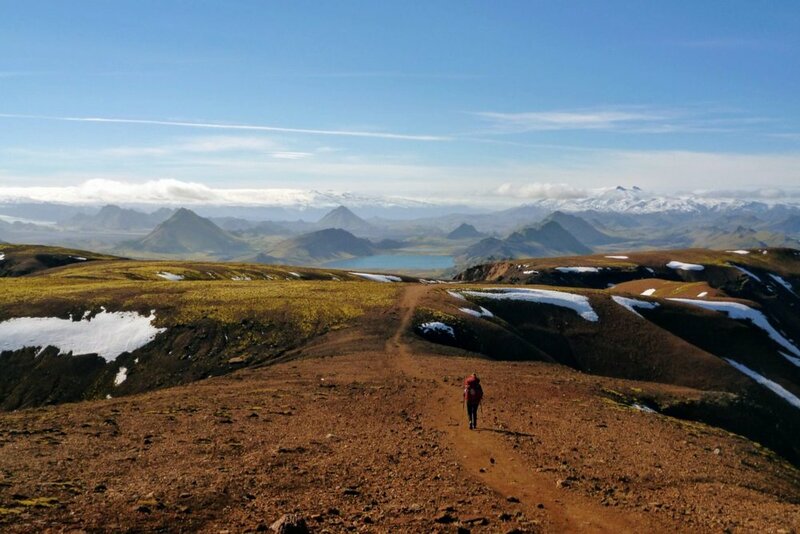 Consider combining the Laugavegur Trail with the 1-2 day Fimmvörðuháls Trail for one of the most rewarding hiking experiences on earth (crossing your fingers that you get good enough weather to reward you with the views!). 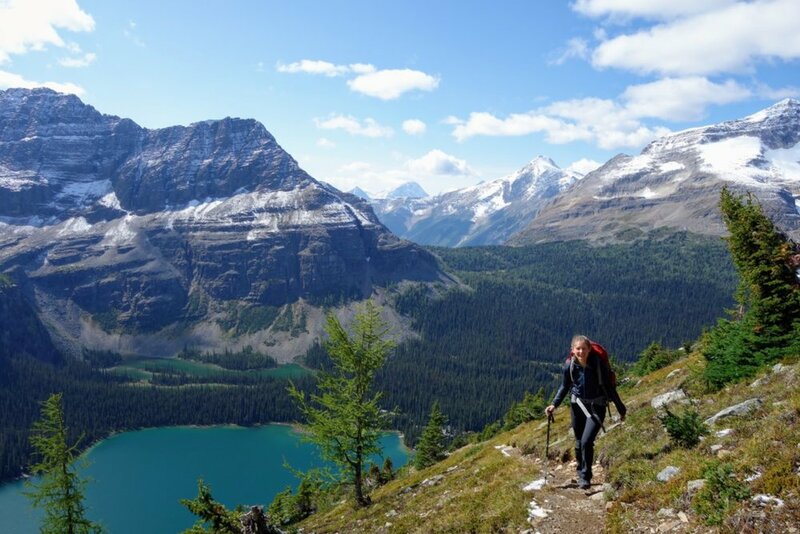 This hike holds a special place in our hearts, as we believe it will yours! Avoiding the middle of the peak season will mean far less hikers on the trail. Amazing one-of-a-kind scenery in good weather! No scenery in bad weather! The Laugavegur Trail is a 34 mile (55 km) one-way trail between Landmannalaugar and Thorsmork. On average it takes 3-4 days, but could be done in 2 days if you prefer long days on the trail. Most hikers then continue on from Thorsmork over the Fimmvorduhals pass to Skogar, which adds about 10 hours or 1-2 days of hiking. Below, we describe the main features of these two trails. Note that the Icelandic Touring Association (Ferðafélag Íslands) provides a detailed route description for both the Laugavegur (see the section at the bottom of their webpage) and Fimmvorduhals trails. We suggest taking your time, if possible. There are several small side trips that you can consider along the way. And you can even stay in Thorsmork a day or two to explore the local area, if you wish. The 34 mile (55 km) Laugavegur Trail is the most popular multi-day hike in Iceland. You'll need to decide which direction you plan to hike and then arrange transport to the trailhead: either Landmannalaugar (northern trailhead) or Thorsmork/Skogar (the southern trailhead, depending on whether you will also hike the Fimmvorduhals Trail, more details below). If you don't have your own transport, then see our "How To Get There" section below for details about busses. The Laugavegur Trail is usually traversed north to south. But there is no reason that it can't be traversed south to north. The northern trailhead at Landmannalaugar sits only 300 metres higher above sea level than the southern trailhead at Thorsmork, so your choice of direction has very little effect on the exertion required for the hike. Travelling north to south has a slightly more intuitive feel for us, since you start up in the Icelandic highlands and walk south towards the coast. One benefit of this is - on your descent off the mountain plateau towards Alftavatn Hut - the views that open out in front of you are just astounding. On the other hand, if travelling south to north, you have the benefit of being able to enjoy the natural hot springs in Landmannalaugar at the conclusion of your hike! The views are stunning as the path ahead begins to open up on your approach towards Alftavatn Hut. If you are staying in the huts, then you should book early (preferably several months in advance). If you are camping, then you need to camp at designated campsites located outside each hut. "Free camping" along the trail (between the huts) is not allowed. If you are camping, then reservations are optional - if you do not make a reservation then you can just pay the hut warden on arrival. See our "Campsites / Huts" section below for more info. For the most part, the hike is undulating (except for the Fimmvorduhals Trail described below, which is very steep, if you choose to do it). Anyone with a reasonable level of fitness should be able to complete it. And the recommended time frame of 3-4 days amounts to relatively short days on the trail. these old volcanic ash fields can make you feel like you're Buzz Aldrin walking back to Apollo 11. The danger here is not the difficulty of the trail, rather, it is the weather. You need to make sure you are prepared. You must have a good waterproof jacket, and we also highly recommend good waterproof pants and gloves. The scenery along the Laugavegur Trail is extremely varied, and - if you get good weather - you will be rewarded with mind-blowing views. But the volcanic highlands are also a harsh and relatively inhospitable place. So the views here are primarily of scenery rather than wildlife! Nonetheless it is scenery that is unrivalled. There is nowhere else on our special planet that is quite like this little volcanic island. Note: when travelling between Hrafntinnusker and Álftavatn, consider the side trip up Háskerdingur, the highest peak in the area (1281m). It will take about 1-1.5 hours, and is worthwhile if time allows and the skies are clear. In the right weather and light the colours along the trail can look quite spectacular. If possible, we highly recommend continuing on from Thorsmork to Skogar. Be warned though - the Fimmvorduhals Trail is not an easy hike - rather, it is a long and tough day. 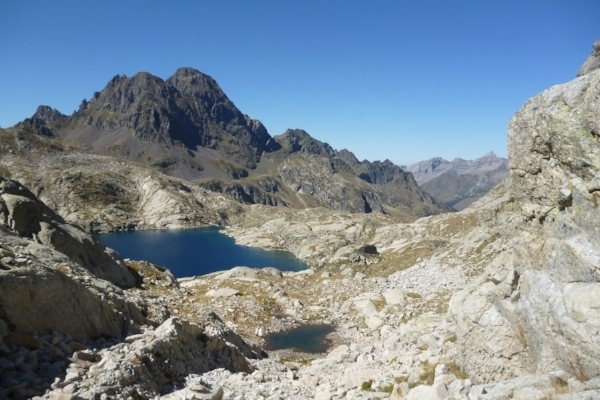 It includes over 1000 metres of ascent followed by 1000 metres of descent. And the trail passes between two glaciers and two active volcanoes. At times the earth can be rumbling under you and the sky closing in on top. Make sure you are prepared for both hard work and bad weather! Many hikers complete it in a single day, taking about 8-10 hours. But if you'd prefer to take it easy, then consider booking a stay at one of the huts (details below). Generally speaking, in summer the trail doesn't require any specialist gear (e.g. crampons), but you do need to be prepared for all conditions. We recommend having full waterproof and windproof gear (i.e. jacket, pants, gloves). As the Fimmvorduhals Trail ascends from Thorsmork, it begins to pass between two active volcanoes: the Eyjafjallajökull and Katla, each with their own glacial ice cap. The Icelandic Touring Association (Ferðafélag Íslands, FI) operates six huts along the Laugavegur Trail. They are generally open from mid-June to early-September, with the specific dates dependent on weather. Reservations for each of the huts should be made in advance. If you plan to travel in peak season, then you should consider booking several months in advance. Bookings can be made through their enquiry form, via email, or by calling +354 568 2533. The huts provide "sleeping bag style" accommodation. So a basic mattress will be supplied, but you must bring your own sleeping bag and any other bedding you wish to have (e.g. pillow). A restaurant serving hot food can be found at each of Alftavatn and Thorsmork during the summer hiking season. The other huts sell some basic supplies (e.g. some dried food, snack bars, gas canisters) but we don't recommend relying on them. Aside from the aforementioned restaurants, food is not available. Therefore you should be carrying your own food and be self reliant - this includes bringing your own gas cooker / stove. More details on the huts can be found here. Each hut will have a warden working at it during the hiking season (i.e. whilst they are open). They are primarily there to handle reservations, but they can also assist you with route planning, suggested side trips, etc, as well as any emergencies or other issues you may encounter. in Hvanngil there is a Hut that sleeps 60 people, as well as a sheltered campground inside an old lava field. There is a designated campsite outside each of the six huts along the Laugavegur Trail (described above). You can book these in advance through the enquiry form, via email, or by calling +354 568 2533. Away from the middle of the peak season, you should be ok just showing up and paying the warden on arrival. The current cost (as at 6.24.18) is 2000 ISK per person/night (approx US$18). You will have access to the water and toilet. But, you will not have access to the hut. We found that even in stormy conditions the warden was not willing to let us cook our meal in the hut kitchen. Rather, we were given the cold shoulder and sent back outside. The campsites are more spacious on the shoulder season! The following only applies if you are adding on the extension from Thorsmork to Skogar (the Fimmvorduhals Trail, described above). Many hikers complete this section in a single day, taking about 8-10 hours. But if you'd prefer to take it easy, then consider booking a stay at the Utivist-owned Fimmvorduhals Hut slightly west off the trail near the top of the pass (but book well in advance). If the Fimmvorduhals Hut is all booked out, then another option worth investigating may be the unserviced FI-owned Baldvinsskali Hut, which was rebuilt in 2012. Until recently it didn't accept overnight reservations (but could still be used as an emergency shelter), however indications are that this may have recently changed. If spending the night, then make sure you stock up on water before arrival, as there is no water supply at either of these huts. Note also that camping is not allowed on this section of trail, and wouldn't really be advisable anyway given the high altitude and temperamental weather of this mountain pass. The picture below shows our final approach to the unserviced Baldvinsskali Hut, with gale-force winds, blizzard-like temperatures, and a whiteout setting in. The Fimmvorduhals pass can get treacherous weather any time of year, so make sure you are equipped for all conditions. The window available for hiking the Laugavegur Trail is small. And even smaller if you want to avoid the early summer snow melt and the peak summer crowds. The bus services to the starting point at Landmannalaugar run from approximately mid-June to mid-September (weather dependent). At other times of the year the roads to the highlands are impassable. From mid-June to mid-August are the busiest times. This coincides with the slightly warmer weather and the near 24-hour daylight. 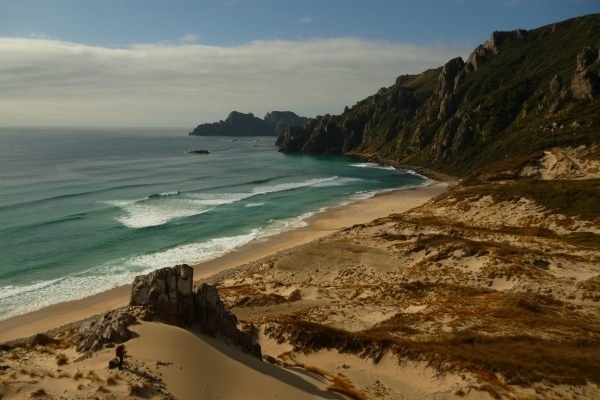 However, during this peak period the huts can be full and bookings are recommended. If you are camping (our preference) then you generally don't need to book, but the campsites around the huts can be busy during peak season. From mid-August onwards the nights get colder and darker, but the crowds begin to thin out. You may encounter the odd early snowfall (or snowstorm) and be wary that the huts are no longer serviced from around mid-September (although camping is still a viable option). But fewer people on the trail means that the second half of August is our preferred time for this hike. Don't forget that the Icelandic highlands are known for their temperamental weather. Even in "peak summer" you might be unfortunate enough to encounter a whiteout or storm. That might mean a somewhat uninspiring (and potentially uncomfortable) hike. So always travel with an open mind and remember that nature offers no promises! The start of the trail near Landmannalaugar is well formed, since it is a popular area for day-hikers too. A number of major airlines fly through Reykjavik, the capital of Iceland, on their Trans-Atlantic journey. In addition, Iceland's low-cost airline Wow Air offers cheap fares direct to Reykjavik from a number of major US, UK and European cities. Once in Reykjavik (or before), you will need to arrange transport to Landmannalaugar for the start of the hike. There are three bus operators: Reykjavik Excursions, Trex, and Sterna Travel. At the time of writing (6.21.18), Reykjavik Excursions offer the cheapest one-way fare between Reykjavik and Landmannalaugar (8500 ISK / US$77). If you want a round-trip ticket taking you from Reykjavik to Landmannalaugar and then either Thorsmork to Reykjavik or Skogar to Reykjavik at the end of your hike, then consider buying the Trex Hiker's Bus Pass (14900 ISK / $136) or the Sterna Highland Hiker's Passport (14000 ISK / $127). However, note that by booking your return ticket with a single operator you won't be able to just "hop on the next bus" passing through Skogar or Thorsmork at the end of your hike, which may or may not be an issue for you, depending on whether you've come straight off the trail. In any case, there is no need to rush back to Reykjavik after the hike! There are plenty more amazing spots to check out. For example, the renowned Vatnajökull Glacier (at Skaftafell) is only a few hours by bus. "Well, I guess that Any bridge is better than no bridge". There are several hiking maps covering this area. We used the Landmannalaugar, Porsmork, and Fjallabak Hiking Map published by Mal Og Mennig and it was fine. You can pick up at bookstores and other outlets (e.g. petrol stations) in Reykjavik. Or if you want it for planning beforehand then it is usually available through Amazon. It has 1:100,000 detail for the entire length of the Laugavegur and Fimmvorduhals Trails, as well as a 1:50,000 inset for just the Fimmvorduhals Trail. It wasn't waterproof, but I think they may publish a waterproof version. Another option is the Thorsmork / Landmannalaugar Map published by IDNU. It provides 1:100,000 detail for both the Laugavegur and Fimmvorduhals Trails. It can be purchased direct from the publisher, from the Iceland Touring Association, or from various other online retailers (type "IDNU Thorsmork Landmannalaugar map" into google). The Laugavegur Trail is pretty well trodden and marked, so it is probably possible to walk the trail in peak season without a map. But we wouldn't recommend it! We always recommend carrying a trail map and compass. Beyond basic navigation, a map can also be useful for route planning, distance checking, water finding, identifying possible campsites, planning side trips, and more. Not to mention in case of bad weather, debatable junctions, emergency situations, improving your understanding of the area, and piece of mind. There are no services at Landmannalaugar aside from the hut, camping ground, and some hot springs (so bring your swimwear if you want!... although a hot bath isn't what I usually feel like at the start of a hike). Make sure you buy all your supplies before departing on the bus to Landmannalaugar. In Thorsmork there is a small shop selling very basic supplies. There are also several (basic) accommodation options - in addition to the usual Icelandic Touring Association (FI) hut, several other commercial operators exist (e.g. Volcano Huts offer several accommodation options). Volcano Huts also operate a buffet restaurant that serves hot food. Perhaps more importantly, Volcano Huts have a shower / sauna / bathing pool setup that can be accessed by non-residents for a small fee. This is a great option if you are camping or staying in the FI huts but just want to refresh and relax after your hike (and before taking on the Fimmvorduhals Pass!). There is camping available at Skogar, just near the base of the popular Skogarfoss waterfall (the finishing point for the Fimmvorduhals Trail). The campsite has a basic toilet block with showers. You just need to pay at the nearby Skogar HI Hostel. If you wish to enjoy some luxury on arrival in Skogar, including a shower and a warm bed, then you have a few options. The Skogar HI Hostel has both dorms and private rooms. We'd also highly recommend the Skogar Guesthouse. The owner's were lovely, the stay was comfortable, and they have a hot tub! And on the shoulder season their prices were far more reasonable than the two accommodation options down the road, the Hotel Skogar and Hotel Skogafoss. But beware that Skogarfoss waterfall is a popular attraction for car tourists, and Skogar is only a small village with limited options for accommodation. If you plan to stay, we suggest you book ahead. And note that prices can be high in peak season. Also note that there is no supermarket in Skogar at the end of your hike. There are a couple of restaurants that serve food during meal times. Outside of standard meal times we found that food is pretty much unavailable in the village. As previously mentioned, the weather in the Icelandic highlands can be very temperamental. Even in the peak summer season you need to be prepared for winds, rain, cold, and perhaps even snow. Here is a short guide on some of the bare essentials we recommend packing for your Laugavegur Trail hike. For more info and detailed reviews of gear check out our backpacking gear reviews and our ultimate backpacking gear list. You will need to carry waterproof & windproof jacket and pants any time of year on the Laugavegur Trail. This is a must. You should not go hiking the Laugavegur Trail without a good quality waterproof and windproof jacket and pants. Without both of these items you could suffer serious wind chill and hypothermia if the weather turns against you. Some hikers think they can get through with just hiking shorts or pants without the need for waterproof pants for layering on top. In some environments that can work fine. But in Iceland it isn’t a wise idea. Waterproof pants are a necessity for bad weather in Iceland. Jacket: Our all-time favourite jacket is the Arc’teryx Beta LT — it is feature-rich, extremely durable, and seriously weatherproof. It is quite heavy for lightweight backpacking (12.2 oz), but we just love it and so are willing to carry the extra few ounces. But if you’d prefer something a bit more lightweight then consider the Arc’teryx Zeta FL (7.2 oz), Montane Minimus Jacket (7.5 oz), or Patagonia Storm Racer (6 oz). Pants: Before buying waterproof pants you should decide what length zipper you want along the outside. Waterproof pants with ankle zippers are often the lightest, but they are sometimes difficult to get on over boots and have almost no ventilation. Full length or 3/4 length zippers are heavier, but they make it much easier to get the trousers on over your shoes or boots and they can be partly unzipped from the top to provide ventilation. We opt for the Berghaus Paclite Pants (8.0 oz, 3/4 length zipper), but the Mountain Hardwear Stretch Ozonic Pants (10.0 oz) are another good option. If you want maximum weight savings, then the Outdoor Research Helium Pants (6.5 oz, ankle zipper) are the way to go. Gloves or mittens: We also recommend packing waterproof gloves or mittens. You can probably survive a bad storm without them but you might be very uncomfortable. We carry a pair of fleece flip top mittens along with an waterproof shell mitten. The two best ultralight shell mittens currently available are the Montane Minimus Mitt (1.55 oz) and the Zpacks Vertice Rain Mitts (0.71 oz). It can get pretty chilly at the higher elevations, so pack warm clothing that allows you to layer. For during the day you should pack clothing that allows you to layer. This helps with regulating your temperature as the weather changes. Items such as a warm hat and neck warmer also provide significant additional warmth for their weight. For evenings and overnight on the Laugavegur Trail you should have an insulated jacket that will keep you comfortable down to freezing (i.e. 32°F / 0°C) or thereabouts. Baselayer (underwear): For men we suggest the Smartwool Merino 150 Boxer Briefs (we carried two pairs). For women we suggest the Smartwool PhD Seamless Bikini Briefs and Icebreaker Meld Zone Sports Bra. Baselayer (for hiking): We opt for a merino t-shirt, specifically the Smartwool Merino 150 T-Shirt. We also carry a Smartwool Merino 250 Quarter-Zip Top for layering. It performs well and the zip allows us to regulate our temp. 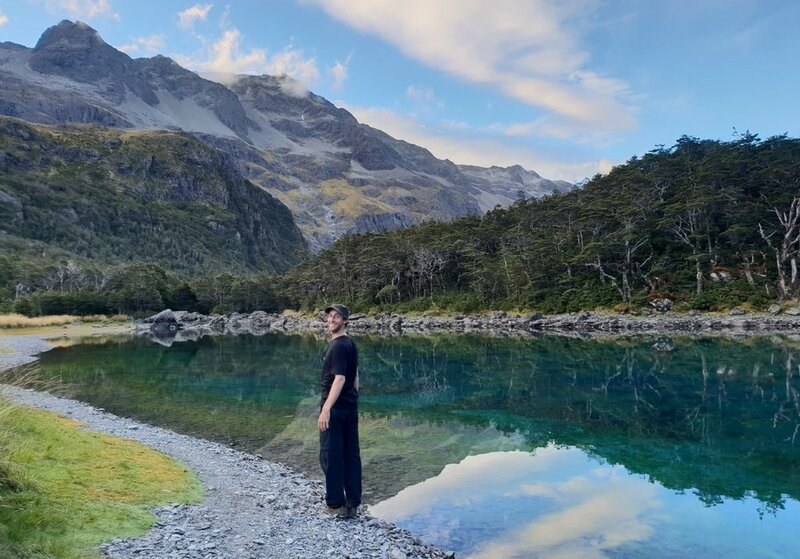 Insulating jacket: Our favourite down jacket is the Rab Electron, but if you want something thinner and lighter then consider the Patagonia Micro Puff Hoody. If you’d prefer a synthetic jacket (they have a lower warmth-to-weight ratio, but retain warmth when wet) then our favourite is the Arc’teryx Atom AR Hoody. Warm hat, gloves and neck warmer: We love the Zpacks Micro-Fleece Hat — its ultralight but still warm. For warm gloves we opt for a pretty generic Fleece Flip-Top Mitten. We also carry a Smartwool 150 Neck Gaiter — it provides significant warmth for its weight. Hiking shoes: We use the La Sportiva Ultra Raptor Trail Running Shoes and love them. Although not waterproof, they are sufficient for the Laugavegur Trail. There are several unbridged river crossings on the Laugavegur Trail. They aren’t particularly deep, but your feet are likely to get wet above the ankle line. If you choose to wear Gore-Tex hiking shoes or boots (which do not dry easily) then you may need to also carry river crossing shoes. Hiking socks: We use the Bridgedale Wool Fusion Ultralight Socks. You should choose socks that are relatively light and breathable, but will provide sufficient warmth for your personal preferences. We carry one pair for hiking and one pair for sleeping. Additional baselayers for sleeping (top, pants, socks): You will want a spare pair of merino or synthetic thermal underwear for sleeping. We carry a pair of lightweight merino bottoms and merino long sleeve top. 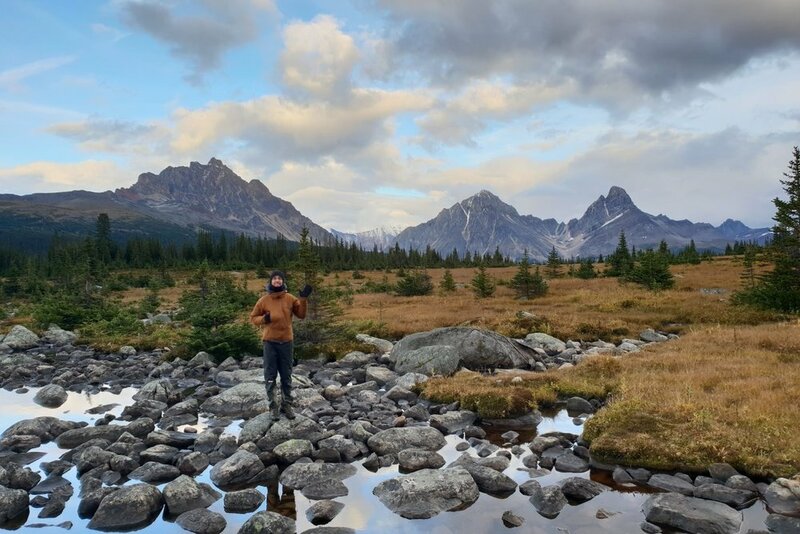 We suggest the bottoms as a minimum, but whether you take an additional long sleeve top just for sleeping might depend on your backpacking style. A spare pair of hiking socks can be used for sleeping. Alternatively, if you sleep cold, then PossumDown Bushman's Friend Socks or even Goose Down Booties are warmer options. Camp shoes (optional): Some people like to carry a spare pair of lightweight sandals (or similar) for evenings in camp or in the huts. If you opt for this approach then we suggest choosing sandals that can also be used for stream crossings, since the Laugavegur Trail has several unbridged stream/river crossings that have water above ankle depth. A tent with a large vestibule can make life easier in stormy weather. 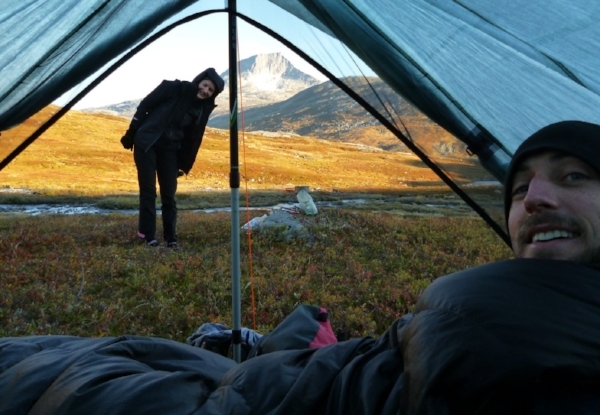 You will need a good quality sleeping bag regardless of whether you plan to sleep in the huts or camp. If you are camping then you will also need a sturdy and reliable tent and a sleeping pad. Sleeping bag: We think the Feathered Friends Lark is ideal for the conditions you will likely encounter on the Laugavegur Trail. It is rated to 10°F (-12.2°C). But sleeping manufacturers tend to dramatically exaggerate temperature ratings. We think the Lark is pretty comfortable down to about freezing (32°F / 0°C) or just below. If you want something a bit cheaper but still high quality then check out the REI Co-Op Magma 15°. Alternatively, if you want to go lightweight then consider a backpacking quilt. 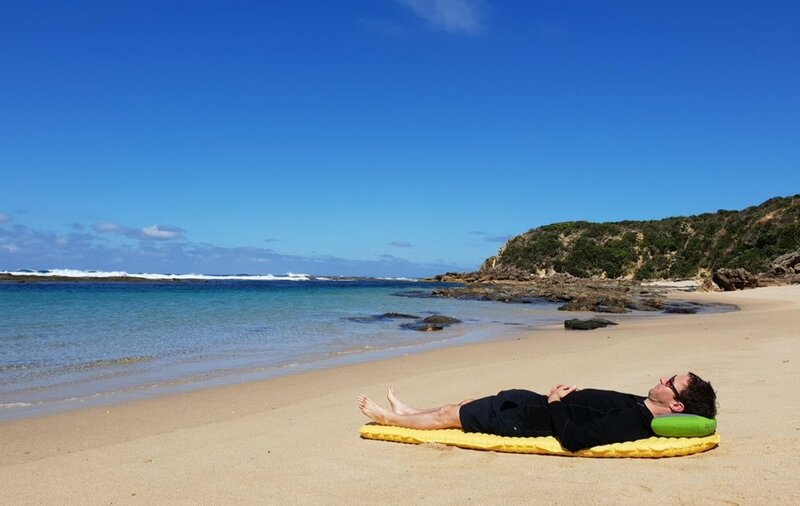 Sleeping pad: We believe the best sleeping pads are inflatable air pads. They are lightweight and much more comfortable than traditional closed-cell foam pads. An inflatable air pad is ideal for the Laugavegur Trail where the ground is often hard, rocky, and unforgiving. Since conditions can get quite cold on the Laugavegur Trail, the Therm-a-Rest NeoAir XTherm would be our recommended pick. More info: Best Sleeping Pads. Pillow: A backpacking pillow can seriously improve your sleep quality and doesn’t need to weigh much. More info: Best Backpacking Pillows. Tent: Your tent should be able to withstand high winds and heavy rains. Wardens at the huts are not always accommodating to campers — meaning that you may still need to cook and eat outside in bad weather (we were denied entry to the hut for cooking even in stormy weather). So a tent with a large vestibule that can be used for cooking is always useful. We do not recommend taking a tarp instead of a tent, as many of the campsites along the Laugavegur Trail are relatively exposed and can be subject to high winds. Our favourite tent is the Zpacks Triplex, but the Big Agnes Tiger Wall UL2 is another great lightweight option that is slightly cheaper. 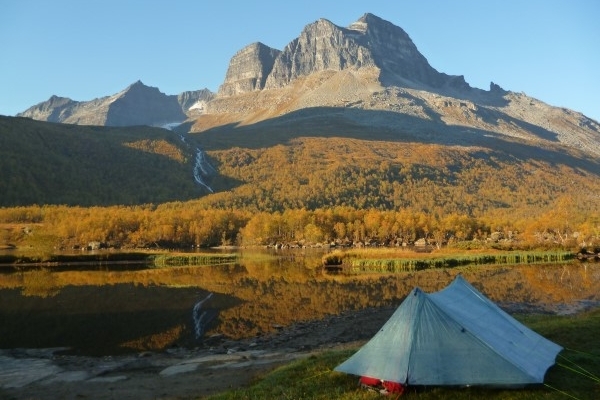 More info: Best Backpacking Tents. For the Laugavegur Trail most people will need a backpack with a total volume of between 40 and 60 litres. This will depend on whether you are camping or staying in huts and how lightweight or dialled in your backpacking gear is. Traditional backpacks made with heavy frames and heavy materials are no longer necessary. Modern materials mean that lightweight backpacks can be just as durable and comfortable. Our favourite lightweight backpack is the Zpacks Arc Haul Zip — its ultralight, feature rich, and almost fully waterproof. More info: Best Backpacks. We also use dry sacks to arrange most of the gear inside our backpack. The Sea To Summit Ultra Sil Dry Sacks are our favourites. They are ultralight, waterproof, and the colours are useful for sorting gear. Regardless of whether you are camping or staying in the huts, you will need to bring cooking equipment. The huts at Alftavatn and Thorsmork have seasonal restaurants, but do not rely on them! Cooking equipment: We suggest packing a stove + fuel, lighter, cooking pot(s), spork, and perhaps a bowl or cup. 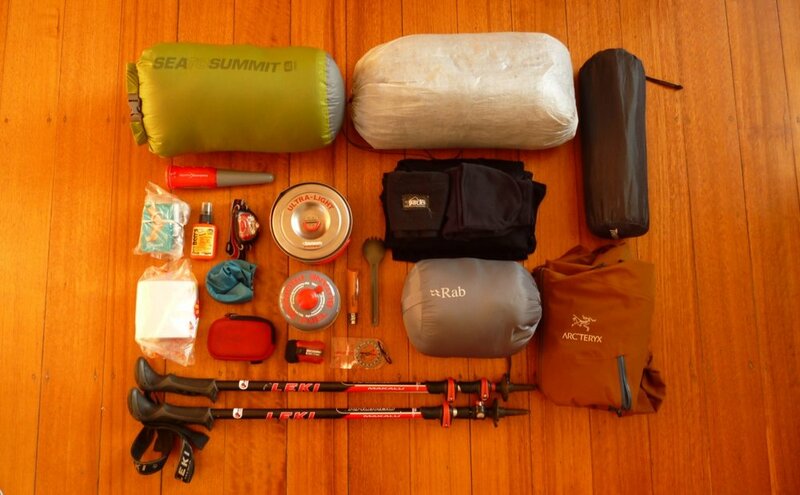 More info: Ultimate Backpacking Gear List - Kitchen. Water treatment: The water in the Icelandic Highlands is pretty pure, but we always suggest carrying water treatment of some form just in case. Our favourite is the SteriPEN Adventurer Opti. If you prefer a filter then the Sawyer Squeeze is a great lightweight option. The Laugavegur Trail is pretty well signposted and trodden, but we always recommend carrying a map & compass. Map & compass: We always suggest carrying a map and compass — even though the Laugavegur Trail is pretty well signposted and trodden. See above for detailed info on maps. Our favourite compass is the Suunto M-3 D Leader. 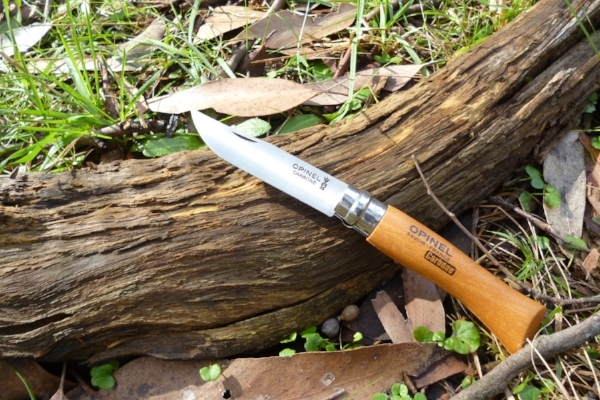 Pocket knife: The Opinel No. 6 Stainless Steel Pocket Knife is our favourite — it is both cheap and reliable. Headlamp: Our favourite is the Petzl Actik Headlamp. 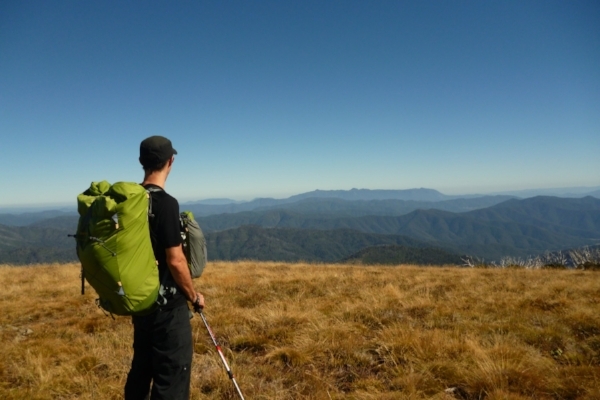 Trekking poles (optional): We love them! And wouldn’t do a multi-day hike without them. They also serve as our tent poles. Check out the Leki Micro Vario Carbon for high-end quality, the REI Co-Op Flash Carbon for all round value, or the Gossamer Gear LT5 for ultralight. Bathroom: Bug spray, toothbrush, toothpaste, soap (for hand washing), sunscreen, lip balm, toilet paper, blister plasters, first aid essentials, lightload pack towel (optional). Electronics (optional): Camera, e-reader, GPS, personal locator beacon. Happy hiking, and take care out there in the wild! Keen To Browse Outdoor Kit? Ready To Start Building Your Dream Kit List? Gagging To Get To The Outdoors? Get the latest gear reviews, ultimate gear lists, and advice on epic wilderness destinations delivered right to your e-mailbox! We respect your privacy. We sure as hell won't be sharing your info with anyone else. Thanks for getting in the mix. We’ll be in touch with epic outdoor gear and adventure info ASAP! Disclaimer: Ultimate Gear Lists participates in affiliate marketing programs, including the Amazon Services LLC Associates Program. These programs are designed to provide a means for us to earn fees by linking to Amazon.com and other affiliated sites. This means that we may receive a small commission if you make purchases through those links. Importantly, this adds no cost to our readers, yet helps us to keep doing what we love. In absolutely no way do these affiliate programs influence our recommendations — we value and respect our readers, and our reputation — which is why we only provide completely honest and unbiased reviews. No BS, ever.